A few years ago, a major concept going around the internet was Once a Month Cooking. 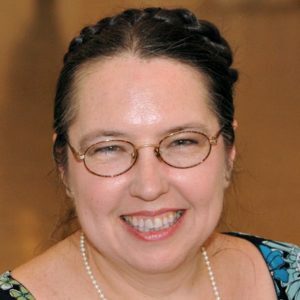 The idea was that you would dedicate one weekend a month to the preparation of most of your food for that month – do a huge shopping, cook three tripled chicken recipes and four with ground beef (or whatever) freeze everything, and have most of dinner ready every night when you were ready for it. One of my friends started to refer to Once in a While Cooking. She lives alone, has retired, wanted meals to be easier – but wasn’t about to enter into a cooking marathon. 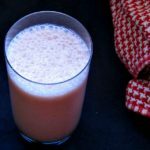 She had realized, though, that many of the recipes she had cooked in large quantities when her children were at home – chili, pasta sauce, soup – were just as easy to continue making in the same amounts as to cut, and reheated well. 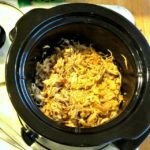 I’d found much the same myself, even though I’d never cooked for more than two, and usually only for one… I’m not going to make one serving of chili, for example, when I can make eight and have chili on hand in the freezer. 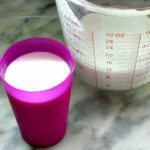 From there, I started looking for the other things that, as long as I was cooking them anyway, I might as well cook in bulk… at least up to a point where I can use them in other recipes, for variety. Meatballs are good for that. 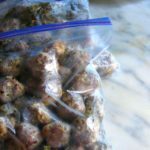 Because they are small, they freeze easily, you can pop them into a freezer bag and take out only as many as you want, and then they thaw quickly. I can just drop them into an easy sauce (even into a jar of sauce, when I don’t feel well enough to cook) or a soup that needs a little something more. I can also use them in a simple vegetable saute, as I’ll show you later. 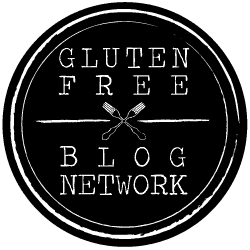 ETA: Obviously I wrote this before going gluten free. I don’t tend to have GF bread in the house – if you do I imagine it would work but don’t have experience. I have now, however, made it with commercial GF bread crumbs, and it does work. Then I added bread crumbs and seasoning. These are soft crumbs, not the dried ones you get in a store. We don’t eat very much bread in this house, so by the time we get to the end of a loaf it’s sometimes getting a little stale… so I just whir the heels of the loaf in a mini processor, and put the crumbs in a bag in the freezer. 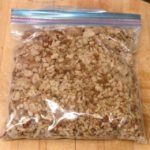 Then I have plain crumbs around for anything I want – and I can spread them out on a baking sheet for a few hours to dry, if I need the dried crumbs for something. I used a cup of crumbs, though the amount doesn’t have to be precise. Then I added to the crumbs 1 1/2 teaspoons each of dried basil and oregano, and a teaspoon of crushed red pepper. I deliberately seasoned them highly, so I can use them in a recipe with no other seasoning – you may want to cut that a little. A little parmesan cheese would be nice here, too, but I was out of it. 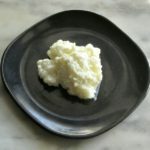 Oh, and I didn’t even think of salt – you might not want it if you’re going to cook them with canned tomatoes or anything else that tends to have a lot, but if you do want some, add 1/2 – 1 teaspoon here. I mixed the seasoned crumbs roughly into the meat, and then added 2 eggs, to bind it. I mixed that all well. 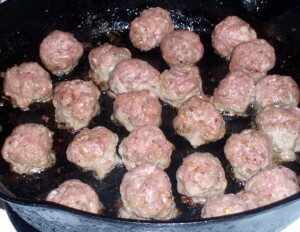 Then I heated a heavy frying pan, and started making small balls. Sorry – no pictures of forming balls, I needed both hands for that – but we all made little balls of playdough as children, and it’s the same method… I didn’t pack them hard, and they were a little loose, partly becaause of the crumbs, but cooking firms them right up. 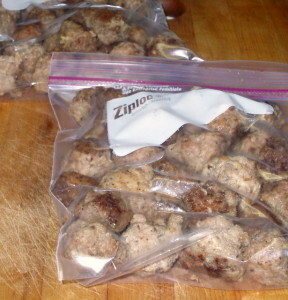 As you see, I made fairly small balls – one or two bites each. They freeze, thaw, and reheat faster, and they’re small enough to use in soup. As I made each ball I dropped it right into the hot pan. There was enough fat in the meat that I didn’t need to grease the pan. If you were to substitute lower fat meat such as chicken, and use a stainless steel pan instead of my cast iron, you might need to add just a touch of oil, to get it started. ETA: Now that I cook for four, I do, in fact, double the recipe. 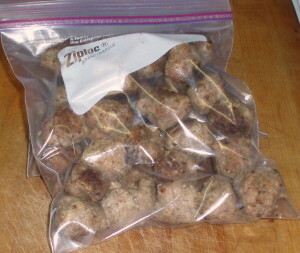 We eat some that day, and I divide the rest in quart freezer bags. Most of them I allowed to cool, and then bagged them in freezer bags. They will freeze without sticking, and I’ll be able to pull out a few at a time whenever I want to use them. 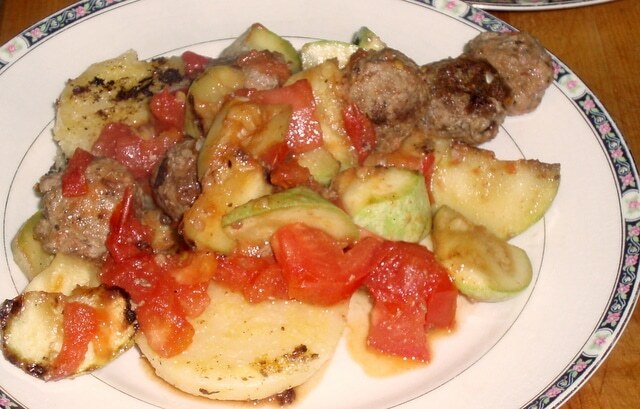 But of course I wanted dinner right away, too… so, while the last batch cooked, I took another pan and sauteed zucchini in it. Then I added some of my meatballs to that, while the rest cooled, and sliced polenta into the frying pan I’d been cooking the meat in. 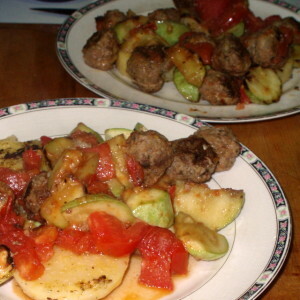 While it heated and browned, I chopped a fresh tomato and added it to the zucchini and meatball mixture. Asked RIch to pour water and set the table, put the meatball and vegetable mixture over the polenta, and served dinner. Very fast and easy. 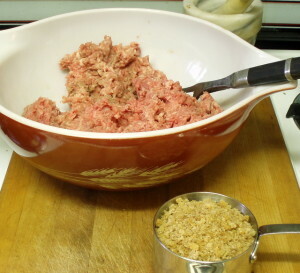 Use a cooking fork or your clean hands to mix the two kinds of meat in a large bowl. Add the seasonings to the breadcrumbs and stir. 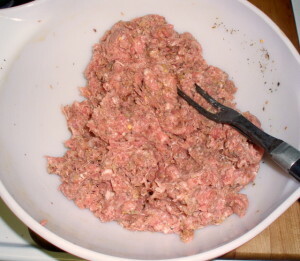 Mix the seasoned crumbs into the meat, and mix gently, without packing the meat. Form into small balls. Preheat a large frying pan, and drop the balls into the pan. Do not crowd the pan - do this in 2-3 batches. 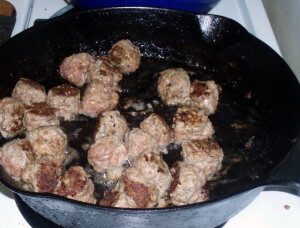 Let the balls cook without touching them for 5 minutes after you add the last one. Let cool. Bag and freeze. To use, take out as many as you want. Put them in a sauce or soup, and simmer 10 minutes, until completely heated through. Or, let thaw, and then pan saute them with vegetables. And using the cooking spoon packs the meat. Yes - somehow we've forgotten how many things cooking forks are good for. These days I use tongs for some jobs I used a fork for when I was starting out - like turning meat on a pan or grill in most (not all) cases - but there just are things the old fashioned 2 tined kitchen fork does better than anything else. 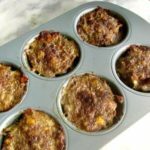 I used it all the time for this, meatloaf, sausage - any time I want to mix ground meat.